P hilippe Bronchtein comes from Madison, in Nashville, Tennessee. This is his fourth full length album, but the first under his real name; before this, he was Hip Hatchet. Check out the track, ‘Sun Can’t Walk’ from Hip Hatchet’s 2011 album, “Men Who Share My Name’. You will hear a taster of Philippe’s appealing and honest sensitivity. This new album was recorded at 2-Track Mind in Portland Oregon, Phil’s bedroom, and The Adrift Hotel’s band cabin in Long Beach WA. With him, singing and playing keys are two musicians: Jason Montgomery on pedal steel and dobro, and Anna Hoone harmony vocals. Be prepared to be moved by a portrayal with insight into everyday life. 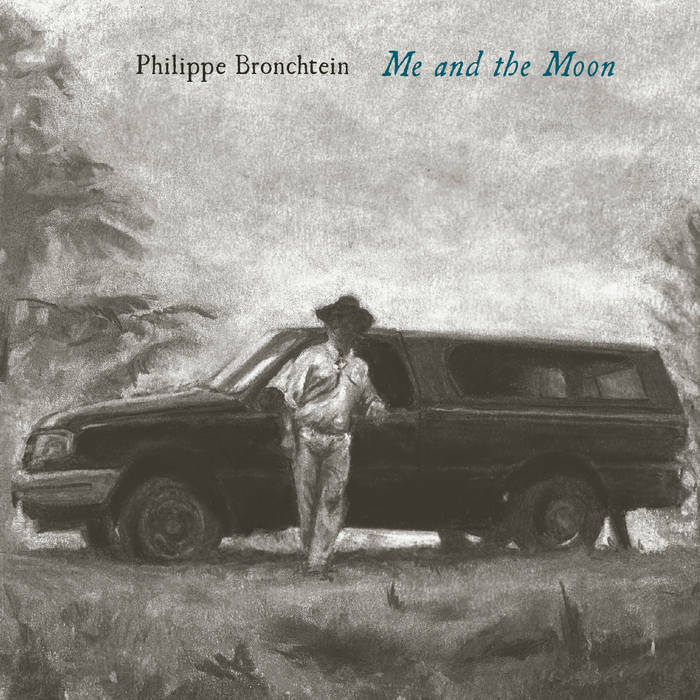 The title track which opens the record provides, perfectly, the boundaries that Philippe has provided for his work. Here is a musician who sings thoughtfully of the world he inhabits and who accepts all its contingencies, excitement and ordinariness. Thus, here, he starts in the New Mexican Desert, drinking champagne. But he is alone; “On a six day drive away from the comfort of my room/ depending just on the glow of me and the moon.” With his voice, capturing place and emotion Philippe is able easily to set the listener down on the “switchbacks down the banks of the Rio Grande / Like a hair line fracture in the palm of (his) hands.” His in-built, relaxed optimism is effective. The listener thus, despite “the clouds unfolding and the rain coming down” shares in the promise of: “If I can make it to Texas, it might just work out.” So, the scene is set for the album: San Antonio, deserts and dreamers, me and the moon. “There aint’ much to hold onto,” he sings in the second track, But ‘It’ll do’ (the track name). And that’s it: Whatever the circumstances, Philippe is quite easily mollified. To be noted, at this point, is the pedal steel, played by Jason Montgomery, unobtrusively backing up the album’s point of view all the way through. “Slow down the pass/ Where resistance has no name.” Listen carefully to the words, the soft arrangement and the detail: the tall grass, the cat and the mouse, the ocean, “the small modest house on a decent piece of land.” There is more implication and reaction here in one song than you might expect in a whole album. ‘Home Again’ refers to Philippe’s own life: “From Seattle down to Tennessee/ Always looking back/ At the life I could have had.” An effective and very moving song again. Effective, because of the detail: “Getting past the final river bend/ Home home again.” And the thrill of seeing friends again! So, Philippe is a master in song of putting remembered moments to music. In ‘Joy of Repetition’ the litany continues: “chasing the sunset, ” “crimson colouring the skies,” “Camp Brady and the fire burning slowly,” “open chairs on the desk,” “smiles from a kid on a swing,” “the wheels pulling off from the Tennessee dust.” All these repeated memories and the joy in their repetition have produced moving meaning and interpretation. ‘Ginger Tea and Wine’ has an added interest for a UK Audience, as there is a reference to Cornwall amid impressive fingerstyle playing and references like there being “ a thin line between thankful and naive, which is just the same as that between the man I am and the man I wanna be.” It might have been that Philippe , on a previous tour perhaps, was trying to sort out things “in a motel room in Cornwall” “ getting warm on the inside on ginger tea and wine.” No doubt that the west of England can help at times! Anyway, again a very interesting track. ‘I’m a Runner’ the last track, confirms the strength of the album. Again the phrases just stick in the mind: “I can trace you with my palm /Singing quiet country songs,” We are left with that feeling of acceptance: “Softly, like a bird that lands/ Push me down the line.” When you are tuned into Philippe’s tone of voice, you, too, are cajoled into his world, affected by his thinking, held for a long time.